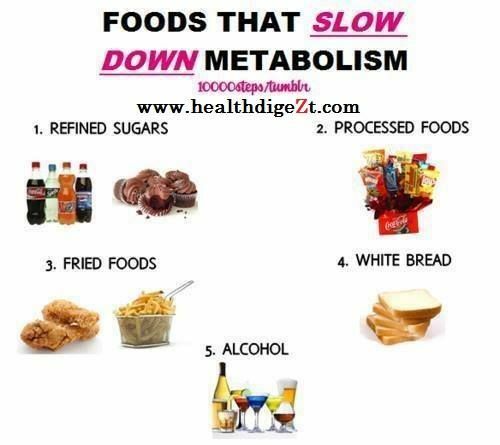 Have you ever heard someone say as they age:"I have put weight on because my metabolism has slowed down!" Whilst it is widely accepted that as we age, due to complex biological actions in our bodies and the loss of muscle mass (see Turn Back the Age Clock), our metabolism slows down it is not that we get fat from our metabolism slowing but more our metabolism slows down as we put on more fat! So, how does your metabolism work? Metabolism is basically an assembly or group of biochemical processes, which occurs in the cells of your body. It transforms the molecules in the food you eat into usable energy which enables you to do everything. Thinking, reading, writing, walking and everything else that you do. Your metabolism is also powering the processes that happens when you are are resting or sleeping. To maintain healthy and functioning cells, several simultaneous metabolic reactions take place. ​After eating or drinking, your body’s next task is to break down the components that we put into our body. Breaking down the nutrients releases energy. Furthermore, the cells of your body use this energy to perform their functions. Inside your cells, more enzymes meet up with these compounds and undergo various chemical reactions. These reactions happen to release energy for immediate or future use. Most of the energy is stored in your liver, skeletal muscles and body fat. There are two simultaneous activities going on in opposite directions with the process of metabolism. One intends to build and store energy, while the other one intends to release energy for fuel. The first one is known as anabolism, and the second one is called catabolism. Anabolism is the metabolic process of building. It’s like excercising and adding more muscle to your physique. The small compounds are assembled into larger and more complex molecules (fat, protein and carbohydrate). This is done to provide building blocks for growth of new cells, to maintain existing cells and to save up energy for future use. As a result, your muscles grow. When you exercise or undertake more strenuous activity, catabolism happens. Catabolism provides the energy needed to do the exercise. Inside the cells (the muscle cells in this case), energy is provided from the breakdown of large molecules (carbohydrates, fats and lastly, proteins). Waste products are also produced when catabolism happens. Your intestines, kidneys, lungs and skin take care of these for you.